UniPOS welcomed the future fire safety Bulgarian professionals on June 28, 2018. 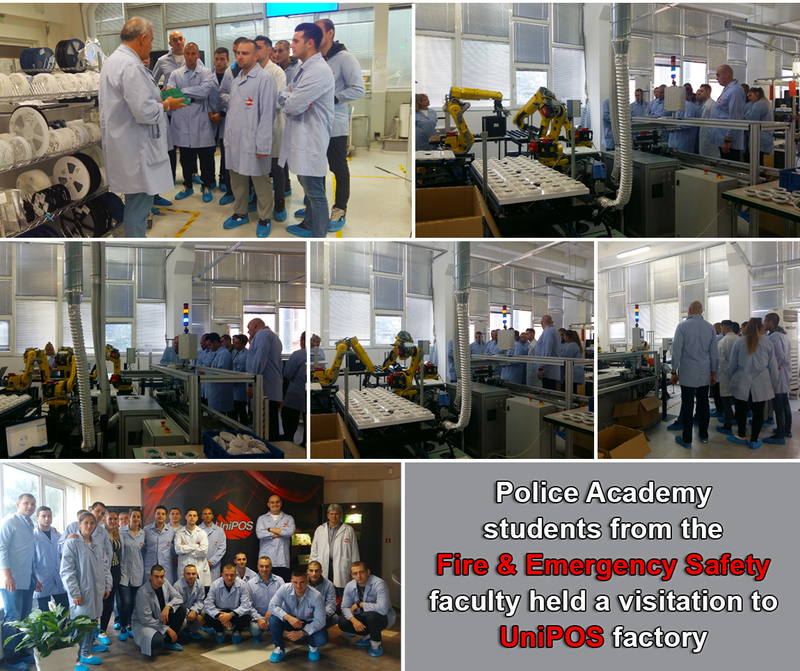 Police Academy students from the Fire & Emergency Safety faculty got familiar with the UniPOS production cycle and standards at their UniPOS factory visit. There’s still time to place your order! 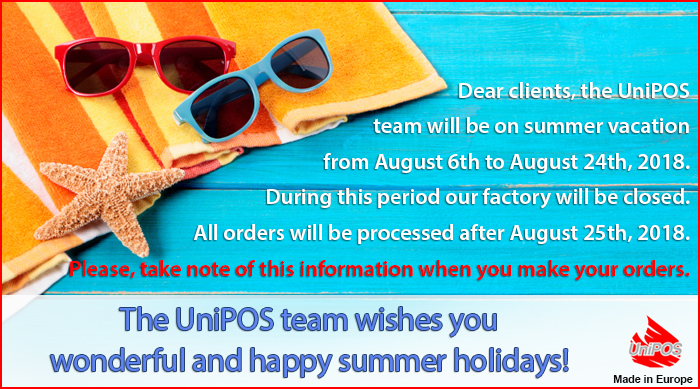 The UniPOS team wishes you happy summer vacation! 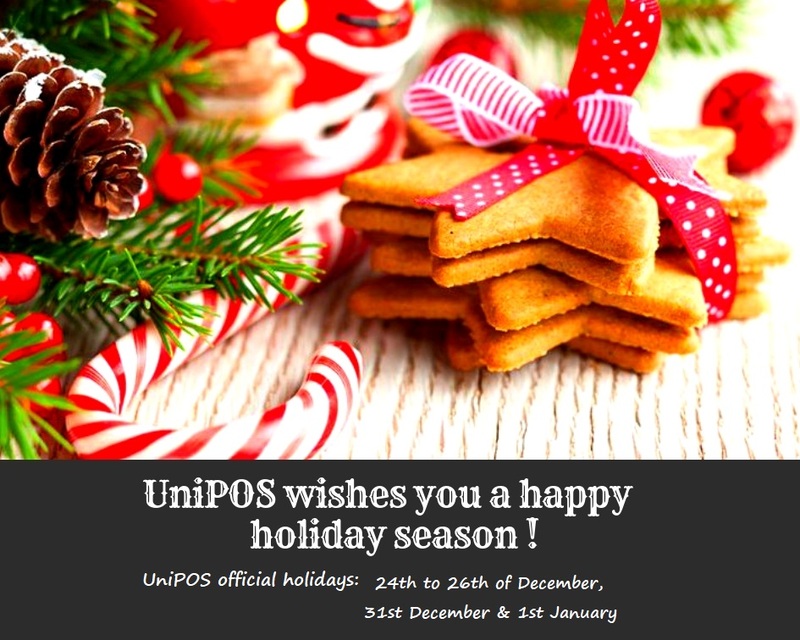 Our team wishes you warm and happy summer days! 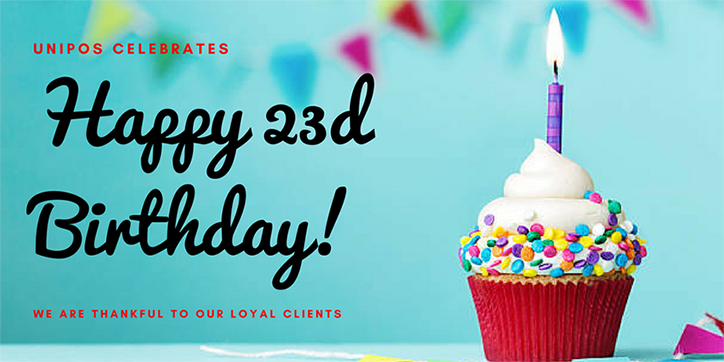 UniPOS celebrates 23 years of success! 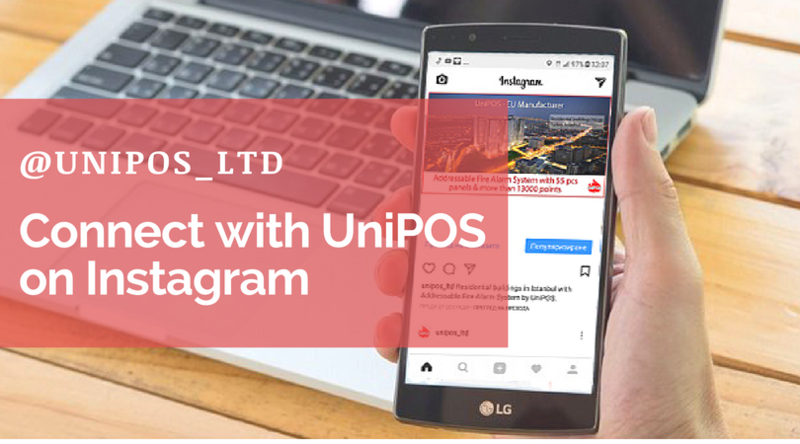 UniPOS was presented at the Jimex Fair on 9 – 12 April in Amman, Jordan. 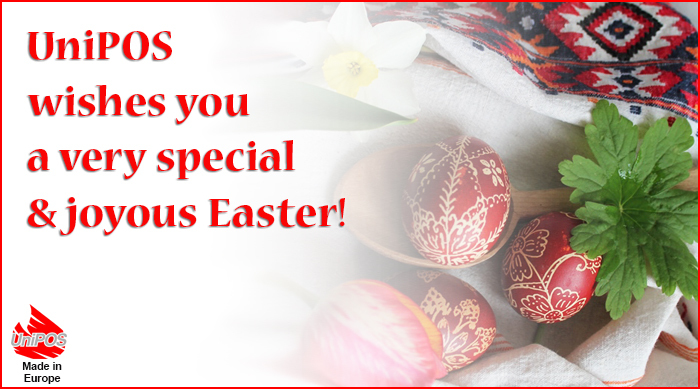 Happy Easter from the UniPOS team! 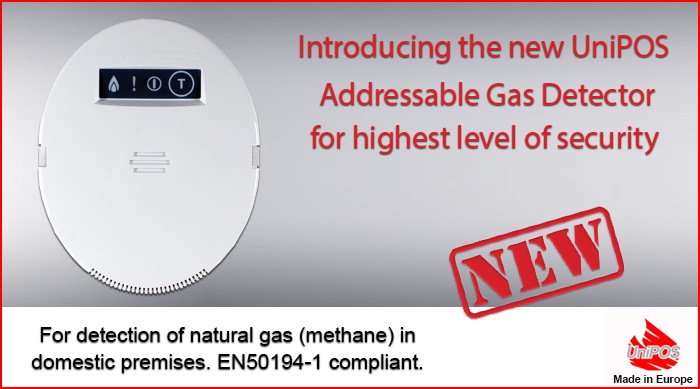 Our team is proud to present the brand new UniPOS Addressable Gas Detector for detection of natural gas (methane) in domestic premises. The CNG71 Gas Detector guarantees the highest level of security and it’s EN50194-1 compliant. 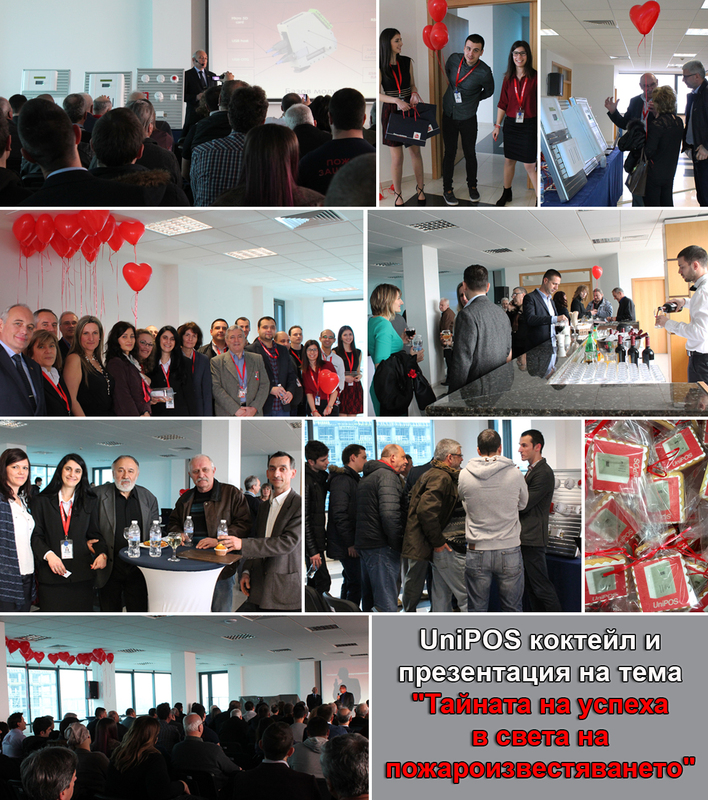 UniPOS is thankful to all partners and clients that were present at our cocktail and presentation on the topic of “The secret of success in the world of fire alarm systems” in Inter Expo Center Sofia.